Studied under Edward Steinberg in Kharkov before moving to Moscow in 1912, where he trained with Mashkov and Konchalovsky. 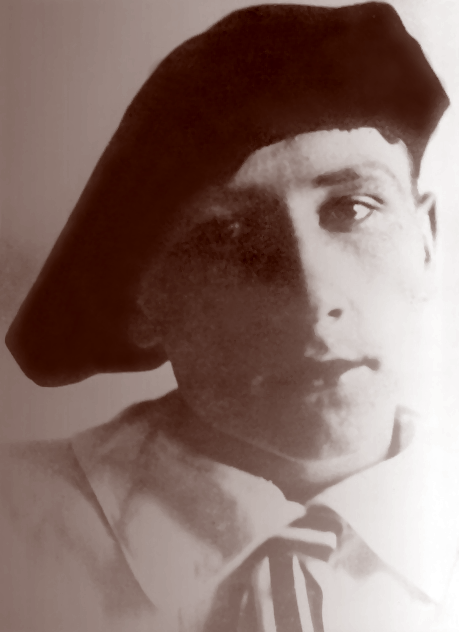 Served in World War I then helped form the ‘Group Of Seven’ in Kharkov, meeting Velimir Khlebnikov. From 1919-21 worked on Agitprop, May Day decorations and window displays for the Telegraph Propaganda Agency alongside Khvostenko-Khvostov. His encounter with Vesnin and Popova in Moscow in 1921 decisively influenced the Constructivist aesthetic he adopted for prints, collage, photomontages and reliefs; he would also create his own Yermilov typeface. Co-founded the Kharkov Technical Arts Institute in 1922. Worked with El Lissitsky on the Ten Years of October exhibition in 1927 and at the giant Pressa exhibition in Cologne in 1928, when he became artistic director of the magazine Avangard. 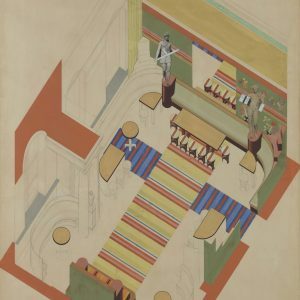 Designed interiors for the Kharkov Palace of Pioneers in 1934 but subsequently accused of Formalism and expelled from the Artists’ Union. The terms ‘Yermilov School’ and ‘Yermilov Era’ remain, however, synonymous with 1920s Ukrainian Art.